Bamboo Shoot, 19th floor, Safir International Hotel, Arabian Gulf Street, Safat, Kuwait 13060. +965 253 3000. 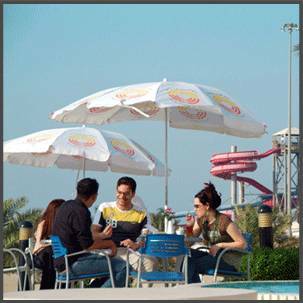 Located on the Arabian Gulf Road overlooking the Kuwait Towers, only 3 minutes away from the heart of the business district, ministries complex, shopping centers and 15 minutes away from Kuwait International Airport. 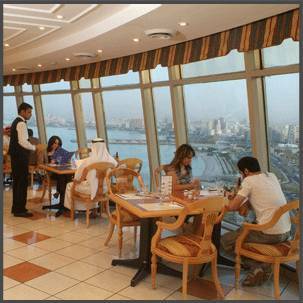 Overlooking the Arabian Gulf with a panoramic sea view. Mon to Sun 7.30pm-11pm. +1 866 765 9565. 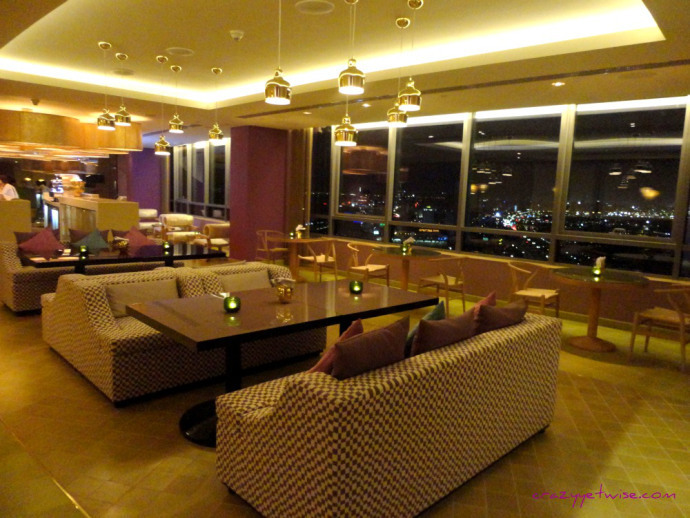 Sky Lounge, (Safir Bastaki Hotel) Bneid Al-Qar, Kuwait City, Kuwait 35152. 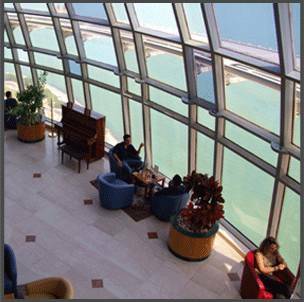 +965 2255 5081 Nothing beats the amazing full glass Sky Lounge by the poolside, on the Hotel's rooftop, which offers a spectacular panoramic view of the Arabian Gulf, and where marvelously delicious selections of International cuisines are served! Rooftop is next to the Swimming Pool. 9am-6pm. Choco Cafe, Missoni Hotel, Symphony Centre, Arabian Gulf Street, Kuwait City, Kuwait 22012. +965 2577 0005 Stunning grand terrace. Liberation Tower, Ahmed Al Jaber Street, Kuwait, Kuwait 15463. 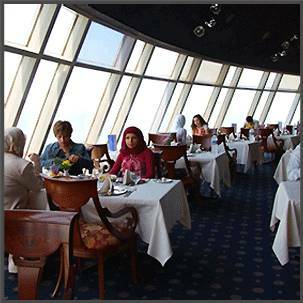 Revolving restaurant.